Free WIFI. 2 bed top floor apartment with communal pool, sea views, satellite tv with film channels, series, news, etc.and full airconditioning. Overlooking peaceful fields yet within walking distance of the small, yet lively town of Kiti, our well-equipped 2 bed apartment offers luxury and comfort. A large balcony (17m2) offers great views! Stylish, self-catering, top-floor, uninterrupted views to the sea, just 10 mins from beach. Rooftop terrace, private pool, balcony for alfresco dining. Satellite TV, microwave, furnished with love. This is a Self-catering ground floor garden apartment in the charming and lively village of Pervolia with a lovely communal swimming pool. 3 Bedroom stone build villa for 8 persons close to the beach with large private garden and Swimming pool 8 x 4 m.
Niovi House stands at the highest point of the village of Tochni in peaceful surroundings, with a history of over 200 years. Unwind in privacy at Villa Carpe Diem. With stunning countryside and sea views, you have found a wonderful, comfortably large, accessible, place to stay. 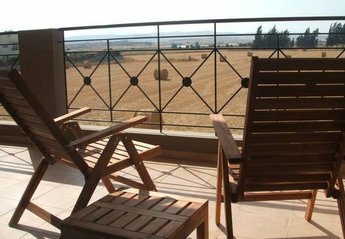 Premium self-catering penthouse apartment with a very generous veranda which is located in a picturesque village called Oroklini near Larnaca, Cyprus. 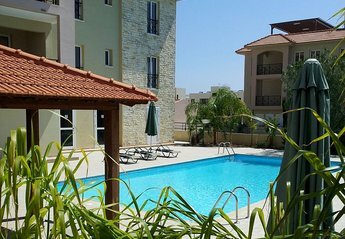 Sunrise Villa is a perfect choice for holidays 2 minutes walk to a beautiful beach, with all you need for a great outside living, close to amenities and restaurants and a short drive to Larnaca. This property is 3 minutes walk from the beach. Located in Perivolia. 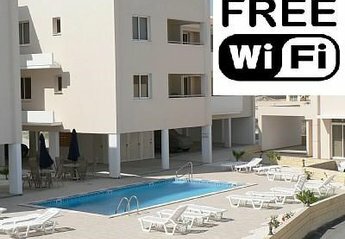 Mersey Faros Complex provides beachfront accommodations with barbecue facilities, a garden, a terrace and free Wi-Fi. Sunset Villa is a perfect choice for holidays 2 minutes walk to a beautiful beach, with all you need for a great outside living, close to amenities and restaurants and a short drive to Larnaca. Stone-bouilt villa with a large court yard with flowers and a swimming pool, sun beds, and traditional wooden tables and chairs. Luxury 2 bedroom apartment, in a peaceful setting, away from all the crowds but close enough if you wish. Free wifi, air-con, free welcome pack. On a gated complex.